Nintendo gave an awful lot of love to Capcom in the Japan-only Nintendo Direct late last week. Not just one but two of Capcom's most anticipated titles were given the limelight and some impressive trailers, showing off Capcom's solid line-up for the exploding Nintendo 3DS. First up is everyone's favorite self-deprecating defense lawyer, Phoenix Wright, who has returned to the podium after years of retirement. 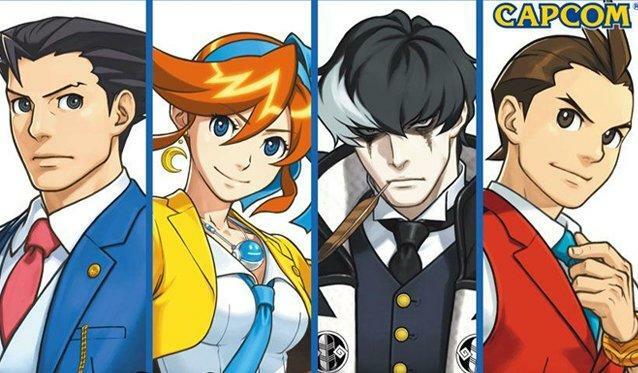 Phoenix Wright: Ace Attorney – Dual Destinies has the veteran teaming up with rookie upstart Apollo Justice from the previous game in the main series and a fiery new redhead named Athena Cykes. As always, the trio will have to investigate a huge cast of wacky characters and bust out supernatural powers to dig the truth out from underneath a contrived pile of lies. Capcom's biggest bread basket these day, Monster Hunter, is also primed and ready for a new entry in the main series. This new Monster Hunter 4 trailer shows off the environments and a wide assortment of beasts which need to be slaughtered. I've never been huge on the series, but there is an audience out there who eats up the online RPG play and cooperative battles. Any fans of the series want to chime in and let us know what you think? Only Phoenix Wright has a confirmed American release this fall exclusively through the Nintendo eShop on the Nintendo 3DS. No physical release will be made available. Monster Hunter 4 will be released in September in Japan, so don't expect it Stateside for a while after that.